Eastern Pennsylvania Youth Soccer is excited to announce its 11th year of international travel with WorldStrides Excel! What started as a single tour to Scotland has become an annual partnership seeing six teams traveling and competing annually. 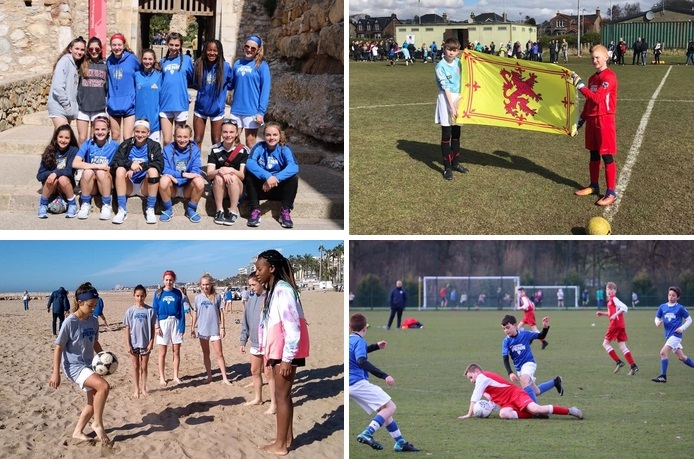 In 2019, we will offer tours to Scotland, England, Spain and Italy where the teams will compete against academy competition, tour stadiums and visit pro games. Each year we have created lifelong memories in Europe; 2019 will surely do the same. Eastern Pennsylvania Youth Soccer aims to provide high-level training to benefit and enhance the development of players at all levels. Eastern Pennsylvania Youth Soccer offers ODP teams the chance to travel internationally and play soccer. Through travel to Europe, players engage in a level of competition not found in the U.S. as well as learn a different style of play. All tours will include training sessions, match play against top academy teams, stadium tours, and attendance at professional matches. Players also mingle with their opponents at pre-game and post-game socials, try new foods, see new sights and bond with their teammates. All tours will take place from April 14th to 22nd. Don’t let this opportunity to broaden your player’s horizon slip by! Additional details can be found below. Any questions please call World Strides Excel Sports at 410 489 2287, email ashleyher@worldstrides.org. Check out some pictures from last year's trips below!